I believe a magazine should be everything you would want your mate to be. 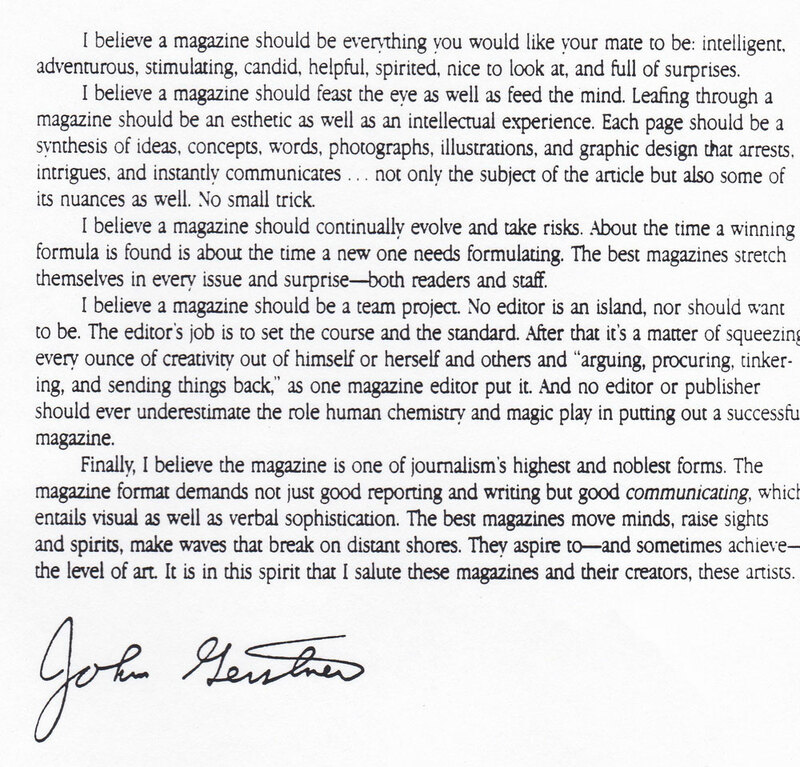 I was invited to share my philosophy on editing a corporate magazine for an IABC (International Association of Business Communicators) awards brochure in the mid-1990s. Though corporate magazines are rare these days, the goals and vision applies to other projects. Next If print is obsolete, why won't it go away?